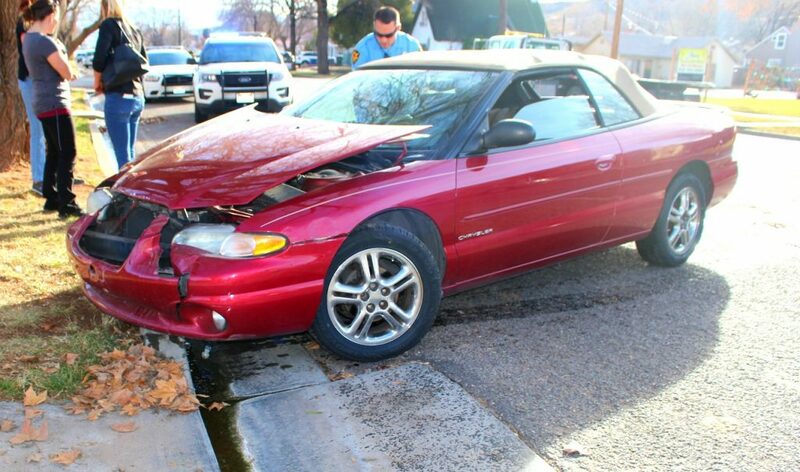 ST. GEORGE — Heavy afternoon traffic was disrupted and damage followed in the wake of a three-vehicle collision on South Main Street Wednesday afternoon. 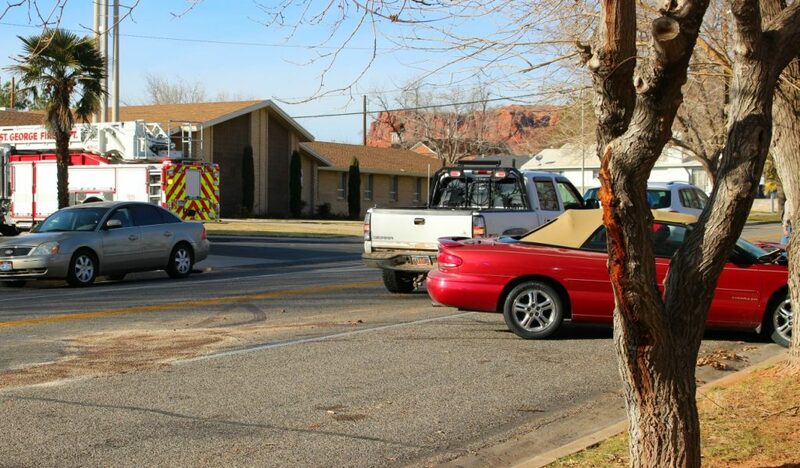 A few minutes after 3 p.m. emergency personnel were dispatched to a non-injury crash reported in the area of 200 S. Main Street involving a white Volkswagen Golf, a white GMC pickup truck and a red Chrysler two-door passenger car. Responders found the vehicles blocking northbound traffic on South Main Street until two of the vehicles that remained operational, the GMC and the Volkswagen, were moved to the side of the street, while the Chrysler was pushed out of the roadway to allow traffic to resume. 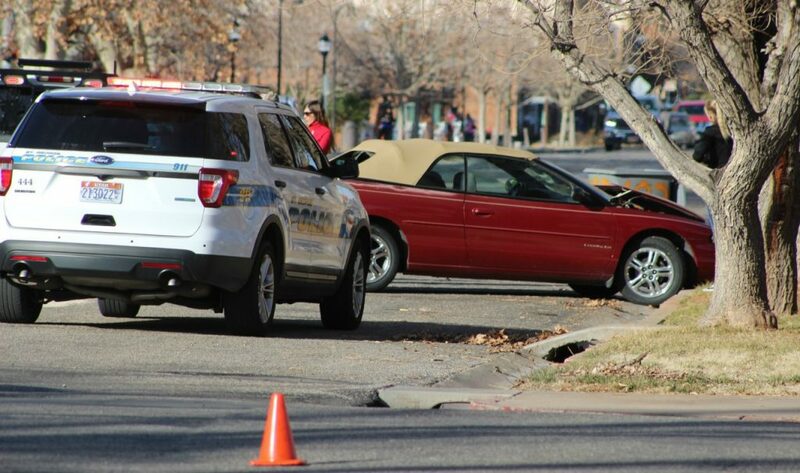 According to witnesses at the scene, all three vehicles were heading north on Main Street when the Volkswagen began to slow down, with the GMC following directly behind that also slowed down for traffic. The Chrysler was behind the GMC and struck the rear bumper of the GMC that was then pushed into the Volkswagen’s rear bumper. The GMC’s rear bumper was damaged in the crash while the front of the truck, equipped with a steel deer guard, had no visible damage. The Volkswagen sustained rear damage as well. The man driving the GMC said the truck’s steel deer guard prevented further damage to the front of his truck. The GMC and the Volkswagen sustained minimal damage and were driven from the scene, while the Chrysler was towed from the roadway. No other information was available at the time of this report. This report is based on statements from witnesses at the scene and may not contain the full scope of findings. That Chrysler two door sedan suddenly turned into a convertible. What …a vehicle crash in St. George, now becoming crash site #1 in the south-West??? Wait and see how many accidents there is on River Road when the 10,000 new homes go in East of the 15 on the Southern border!